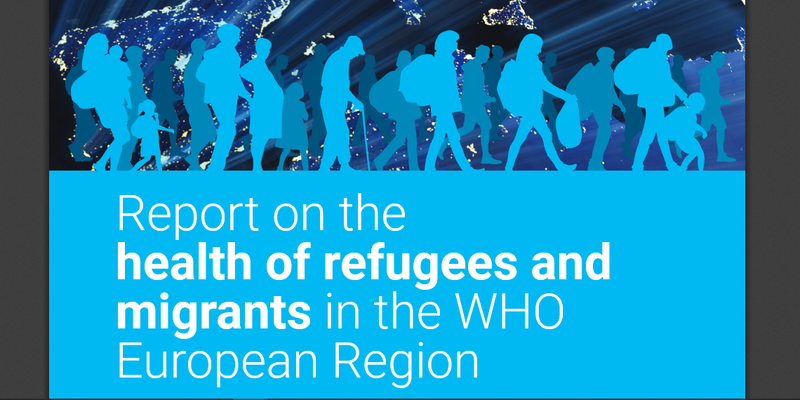 Migrants and refugees in Europe have generally good health but are susceptible to developing NCDs if they live in poverty, according to a new WHO report. 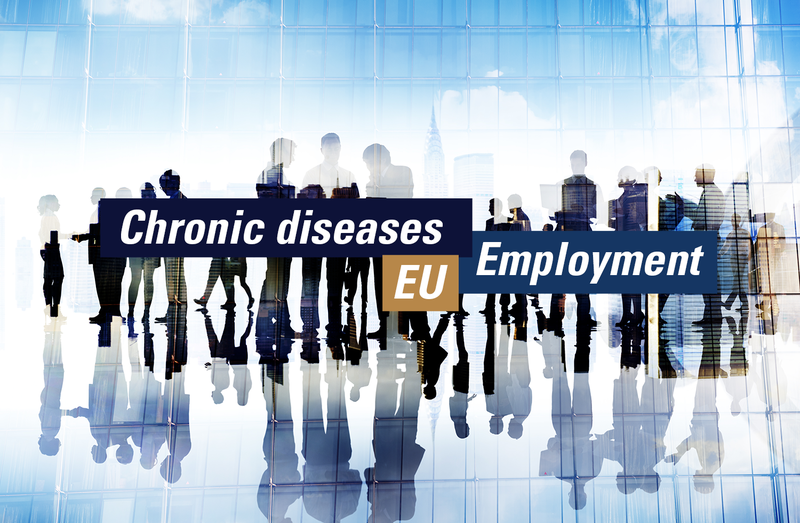 The European Chronic Disease Alliance (ECDA) has launched a manifesto calling for increased EU investment in chronic disease prevention and management in the agenda of the next European Commission. 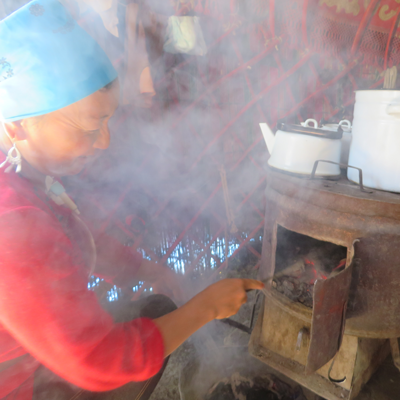 A vibrant civil society is an important contributor towards progress on NCD prevention and control. 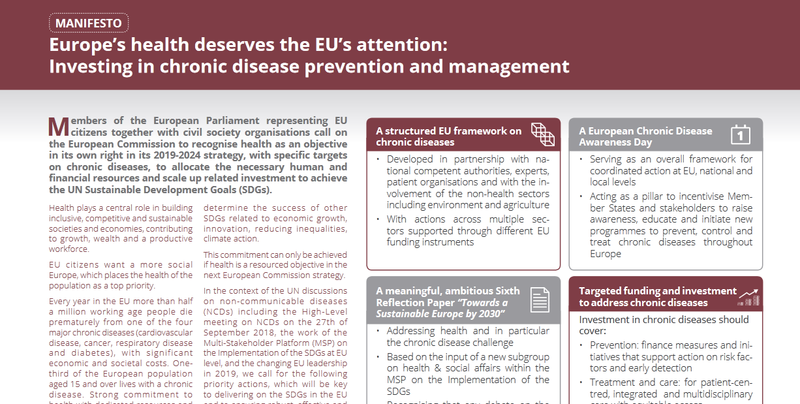 A mapping of civil society organisations (CSOs) working on NCDs in the WHO European Region was performed to offer a broad portrait of the state of civil society action on NCDs and inform efforts to strengthen civil society’s contributions. 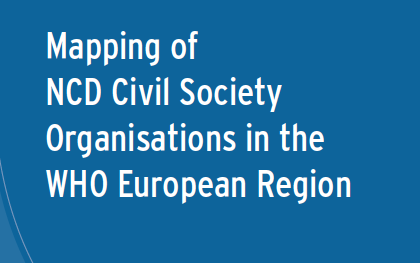 The mapping analysed data collected via an online survey of CSOs in addition to a series of in-depth interviews with civil society informants. 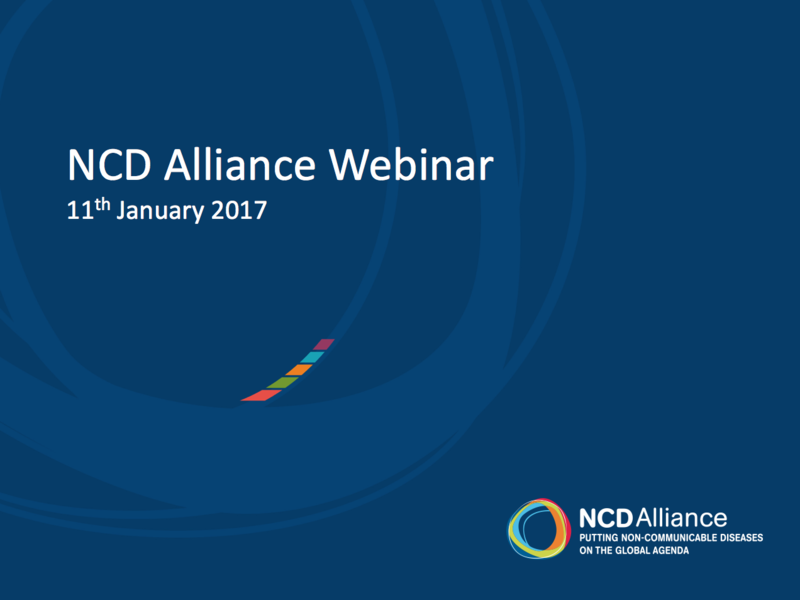 NCD Alliance webinar discussing an Overview of 2017, WHO Executive Board, WHO Global Action Plan on Dementia, WHO Cancer Resolution, WHO FCTC COP7, and the EURO regional NCD Civil Society meeting.